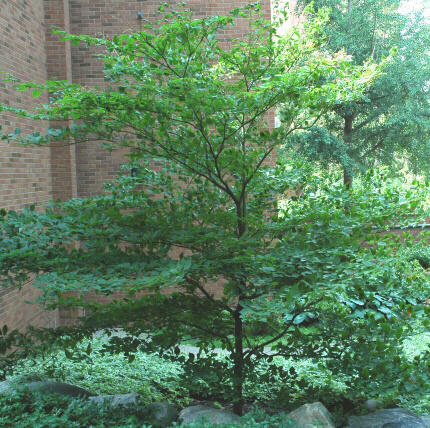 A beautiful tree with branching that can create a layered or tiered appearance. 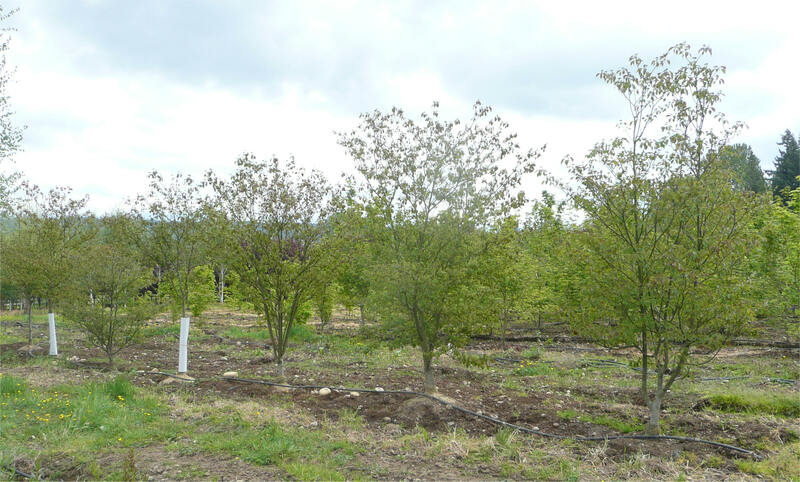 Produces clusters of fragrant white flowers in late summer, which are followed by purplish-black berries. Green summer foliage picks up purplish tones in the fall. Mature Height: To 25 ft.
Sunlight: Partial shade is best. Will tolerate full sun if roots are kept cool. Comments: A good specimen tree because of its unique layered habit. Looks great in naturalistic or woodland gardens. 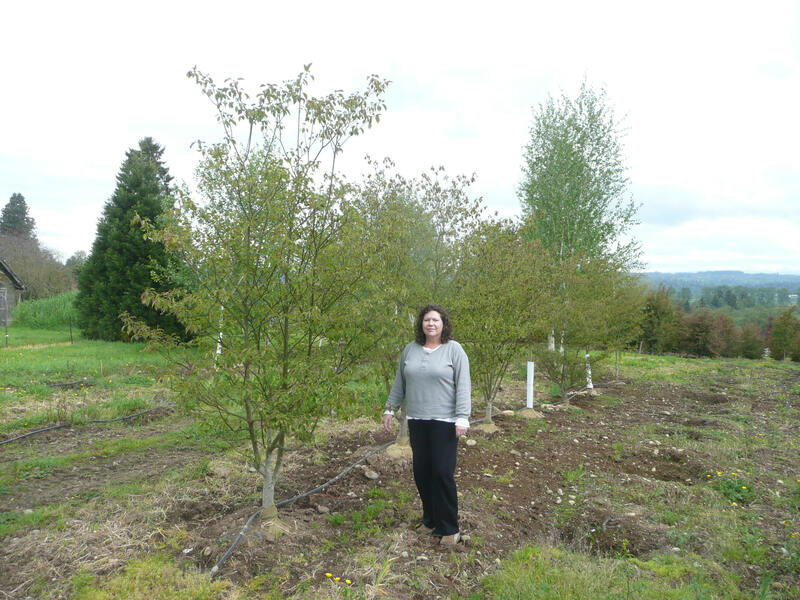 Pagoda Dogwood at our Snohomish nursery tree farm. 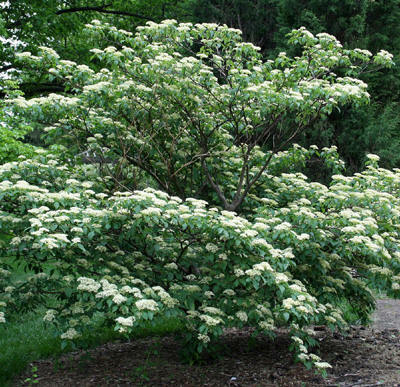 Some Larger Pagoda Dogwood available--call for information and pricing.